There’s no reason to break the bank when searching for a new-to-you vehicle! Here at Jaguar Colorado Springs we have the perfect vehicle option for you if you are looking for performance and comfort. 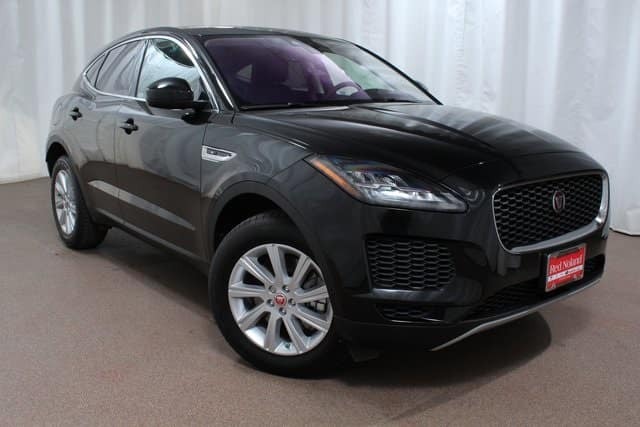 This Approved CPO 2018 Jaguar E-PACE SUV is the vehicle for you! Equipped with a 2.0L turbocharged engine and paired with a 9-speed automatic transmission, you are looking at getting an estimated 21 MPG city/28 MPG highway! Plus, there is plenty of interior/cargo space, you can bring the whole family and all their extra gear! To keep them entertained and safe this E-PACE is equipped with many great features. That includes Cold Climate Package, SiriusXM Satellite Radio, low tire pressure warning, speed sensing steering, rearview camera, and Meridian 380W Sound System. Stop into Jaguar Colorado Springs today to look at this Approved CPO 2018 Jaguar E-PACE and even take a test drive! Our Jaguar experts can show you the many exciting features of this E-PACE!